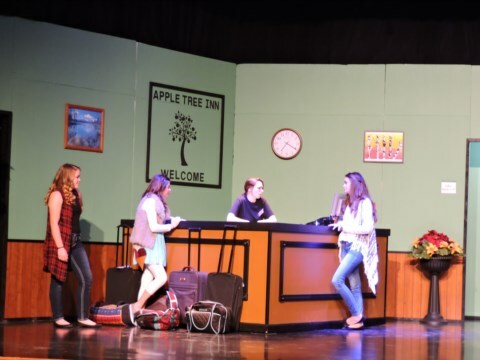 SYNOPSIS: The Apple Tree Inn has only been open three weeks, and Diane is worried no one will ever check in! But out of the blue, pop star Jordan Wieber shows up and brings chaos with him. How will Diane keep her hotel running smoothly with hotel inspectors, undercover police officers, hoards of Wieber fans, and a dead body all threatening to shut it down? 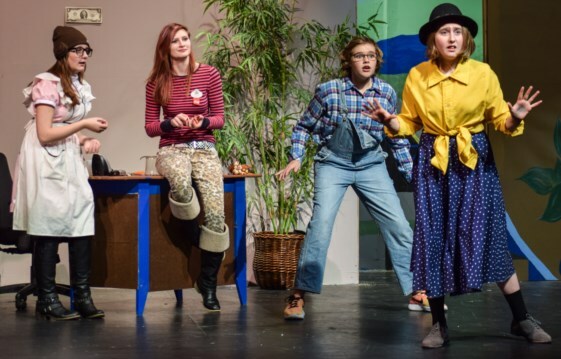 "I produced this play with my middle schoolers and had more than one teacher and the principal tell me it was the best play they'd seen at the school. It's a fast moving little comedy with some great payoffs and quipy writing. There's a lot of room for your actors to create their own characters within the lines." 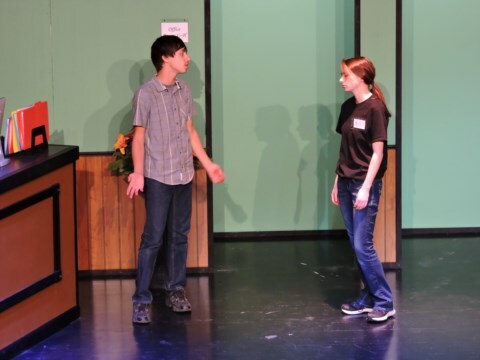 "The students thought the play was really funny but they wanted to have more blocking direction in the script. The audience loved all the celebrity references and the 'reveal' at the end." 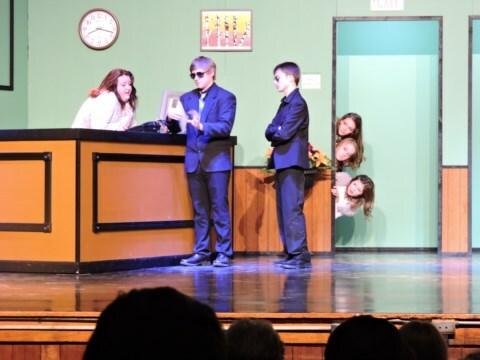 "This play was the most fun we've had! The audience loved it!" "fun and active....easy set...no costume changes LOTS of laughs!" "A FLY ON THE WALL by Pat Cook is a very fast paced farce. The show was very funny and the students were able to build off the wall characters that were larger than life. The audience howled with excitement and I received many compliments throughout the run of the show. If you and your students are excited about farces, this is a great way to keep them and the audience entertained." Verndale Public Schools, Sarah tries to tell Terri, Renee, and Cheryl that the hotel is booked. Verndale Public Schools, Jordan tries to tell Sarah how terrible his life is. 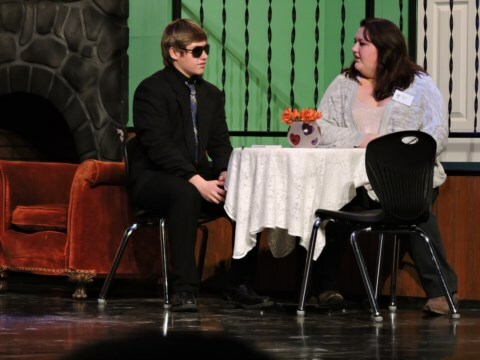 Verndale Public Schools, Fowler explains to Diane why he wants to hide Wieber in her hotel. Cheney Middle School, Mrs Taylor is dead!